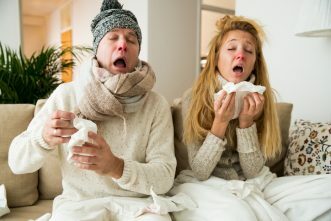 Having some sort of an immune system is essential for life itself, and more or less every known living creature has an immune system of some sort, even plants. 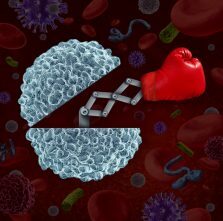 The immune system is constantly guarding the body against disease, such as various infections. It consist of multiple components. In order to explain it it can be feasible to divide it into the innate immune system and the adaptive immune system. To clarify, in the body the two systems work together as one, however the innate immunesystem stay more or less the same throughout life and share similarities with most animals and plants (!) whereas the adaptive immune system will continue to develop as long as we live. The immune system is also something that is unique for every person, not even twins have exactly the same immune system. The genes we have and the environment we live in, including living standards are both important for the development of the immune system. There is no research supporting that any particular kind of food or supplement itself can strengthen the immune system themselves. In fact, there are more people world wide needing medication to suppress their immunesystem moreso than strengthen it, more on that topic to follow. The innate immune system consist of physical barriers, like the skin or the wall of the intestine, inflammation and cells, mainly white blood cells. The response from the innate system is efficient, rapid, but non-specific. It reacts in the same fashion regardless of the source of disease/damage. The physical barriers like the skin are hosts to millions of bacterias, most of which are harmless. However if some of the more dangerous bacteria manages to get inside of the body it will trigger an inflammatory response, that among other things will lead to an increase in numbers of white blood cells. The inflammatory response will be explained in more detail later. Another feature of the innate immune system in most mammals is that it will activate the adaptive immune system. The adaptive immune system consist of lymphocytes, a particular kind of the white blood cells. There are two main types of lymphocytes; T-cells and B-cells. As previously mentioned the immune response from the innate system is the same regardless of type of injury or infection. The cells of the adaptive immune system are however more sophisticated and for every bacteria or virus entering the body some of the T- and B-cells will have the role of memory cells. They will not participate in fighting off the germs, they will remember (recognizing features of the outer surface of the bacteria or virus, so called antigenes) them enabling a more targeted and specific attack if the same bacteria or virus would come back. it is this immunological memory that we use in vaccines. We inject harmless versions of bacteria and virus in order for the immune system to be able to remember them. 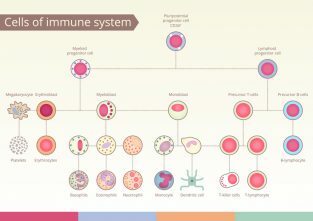 As said, the innate and adaptive immune system are constantly working together, and where the innate immune system provide the first line of defense and carries out much of the “dirty work” the adaptive immune system provide a targeted and efficient response to any threat that it previously has been exposed to. An overactive immune system or immune response can itself be harmful to the body, as in autoimmune diseases and allergies. To get a better understanding of this we’ll take a closer look on inflammation and the inflammatory response. In the meantime you shouldn’t worry too much about the strength of your immune system, it is most likely just fine.